Today a woman somewhere is laughing, weeping, grieving, or celebrating. Someone is giving birth; someone is losing a loved one to death. Relationships are forming, others are ending. For some, this will be an ordinary day filled with many of the same activities as yesterday. For others, something unexpected will suddenly make this day unforgettable, one that they may tell their children and grandchildren about in the future. In the same way that we are curious about how our grandmothers lived, future generations will be interested in learning about what an ordinary day was like in our lives. For information about how you can become a member of the Story Circle Network please check out our membership page. Please join us in being a part of One Woman’s Day! When you submit a post to One Woman’s Day you are giving us first-time rights to publish it on our website. You retain the copyright to your work and are free to publish it elsewhere after it has appeared on our site with this credit: This piece was originally published at Story Circle Network’s One Woman’s Day blog, and a link back to the post. If your post has already been published on your personal blog please include a link to the original post so we can give credit and link to your blog post. Thanks for the invitation. I will think of a day and submit as soon as I receive my login and password. Thanks! So glad you said an ordinary day can be great. I celebrate any day I can get out of bed. Barbara, we welcome submissions from members of Story Circle Network about an ordinary or extraordinary day in their life told in 500 words or less. For more information about becoming a member of Story Circle Network please check out the link above. 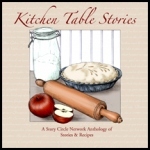 Please feel welcome to email me directly (linda dot hoye at gmail dot com) with any questions you might have about Story Circle Network. Thank you for the invitation! I am a new member of SCN, I received the membership as a birthday present from my best friend and I am very excited to participate and get to know each other.